Thank you for all the beautiful support! A very special thank you to all who attended, volunteered, or donated items for our 10th annual “Jenna’s Ice Cream Parlor”. 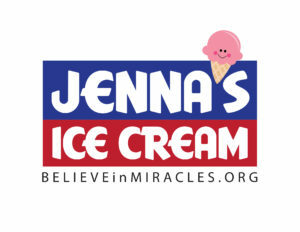 Due to your generosity over $3000 was raised for The Jenna Kast Believe in Miracles Foundation. Jenna loved her ice cream but more importantly she loved helping others. With your support her work continues. God bless each of you and Praise God for the many blessings Thursday brought.